Temperatures are finally rising. This means we can welcome Spring and wish the Winter farewell. We are also racing towards the end of the year – so remember to make use of the optometric benefits of your medical aid if you have not yet done so in 2018. We have some exciting eyewear ranges to complement your livelier, colourful spring wardrobe. Our new stock of exciting ranges like Fysh, Kliik, Woow, Joolys and Diesel are now the talk of the town. Are you starting to plan your spring home improvement projects or garden projects? Don’t forget eye safety — wear safety glasses, goggles or impact resistant sunglasses to help avoid eye injuries. A good pair of sunglasses is a wonderful thing to have on a bright day, but why is that? It’s not just about the dark tint. Different lenses have different effects and knowing what those are enables you to choose the sunglasses that are best for you! Coloured sunglasses lenses look awesome, but did you know that they actually serve a purpose? If your lenses are yellow or amber, that makes them great for outdoor sports — snow sports especially, because they filter out the blue light glaring off the snow. They also increase contrast and improve your depth perception, which helps you see the changes in the snowy terrain. Purple or rose lenses create greater contrast between objects and a blue or green background, and that makes them perfect for water skiing and hunting! If you’d rather not have the colours you see altered by your lenses, though, you might prefer ones that are black, grey, or green. Green doesn’t change much about the colours you see, but it does still filter out blue light. If you want sunglasses that eliminate glare, polarized lenses are the way to go. They essentially work like windows with microscopic built-in blinds. Light is only able to enter from certain directions. This means that any light that has bounced off surfaces around you, like water or a nearby car, can’t come through and hurt your eyes! The price tags on high-quality sunglasses can make a lot of people balk, but these lenses are worth the extra cost. Cheap sunglasses can put your eyes in more danger than if you simply went without sunglasses altogether. Being dark-tinted does not mean the lenses offer your eyes crucial UV-protection. Instead, they can trick your pupils into dilating, which lets even more of those harmful rays in. At least when you’re squinting against the bright light, your pupils know to contract. If you still have questions about what kinds of sunglasses would be right for you, just ask us! 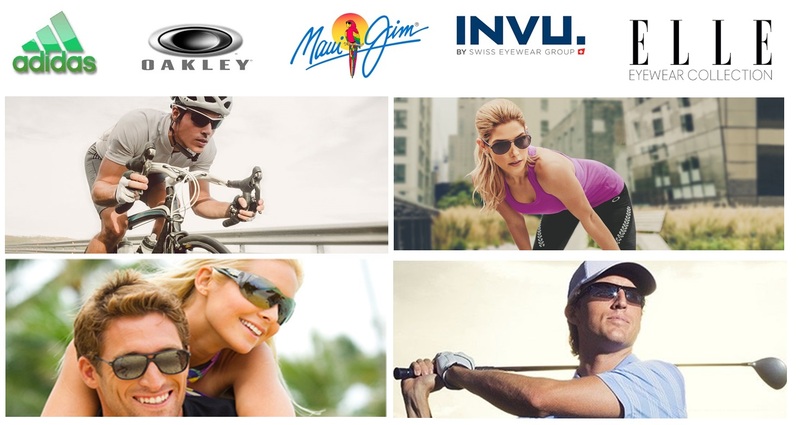 We can help you make sure you get sunglasses that protect your eyes the best for your favourite outdoor activities. We can help you make sure your sunglasses offer full UV protection!